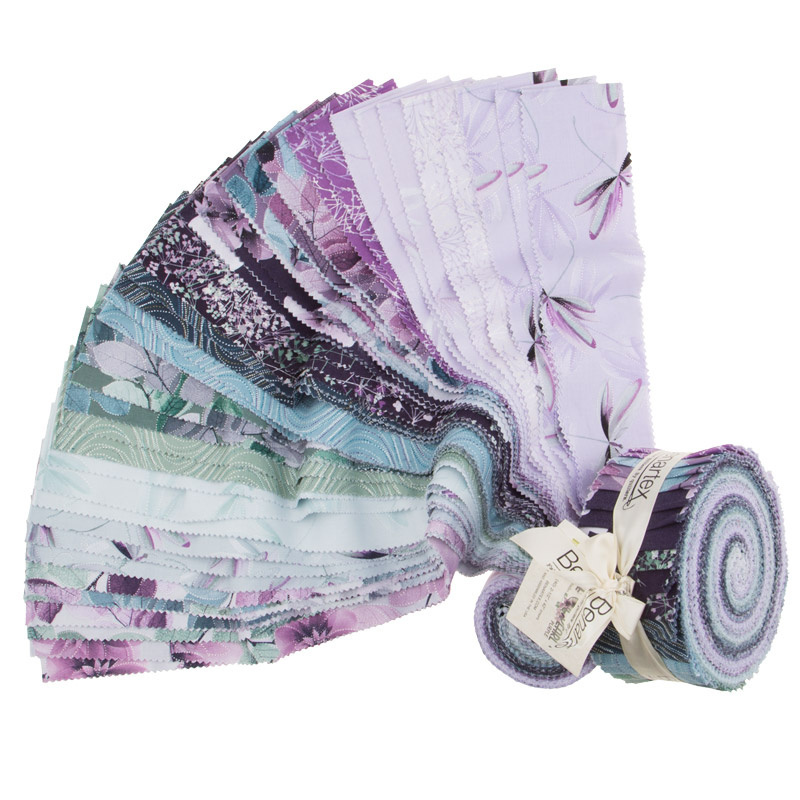 This roll of 2.5" strips includes purple dragonflies, sprigs, blossoms and more in neutral and purple shades. Your quilt will look like a pearl with these colors! Each pinwheel contains (40) 2.5" x 42" strips of fabric. You receive 2-3 pieces of each print.